Give your home a minimalist appearance with our range of frameless doors and glazing products. At UK Windows Surrey we provide a range of frameless doors, screens, balustrades and glass splashbacks to give your home a modern, minimalist appearance. 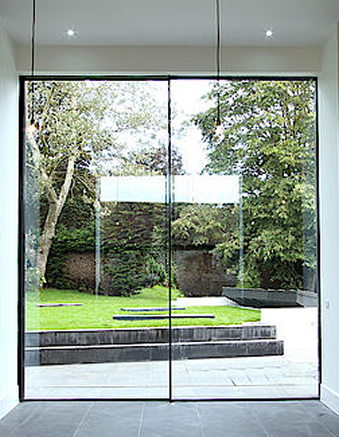 Frameless Doors and contemporary glazing. Our range of frameless doors and glazing products are designed for inside or outside your home. Crafted from quality toughened or laminated glass, with premium metal hardware and accessories, they provide added function with elegance and style. Glass has many different uses inside and outside a modern home. Our frameless porches create a stunning feature to the front of your home, but you can also use the glass door leaf with obscure glass as an ensuite door or elsewhere in the home. 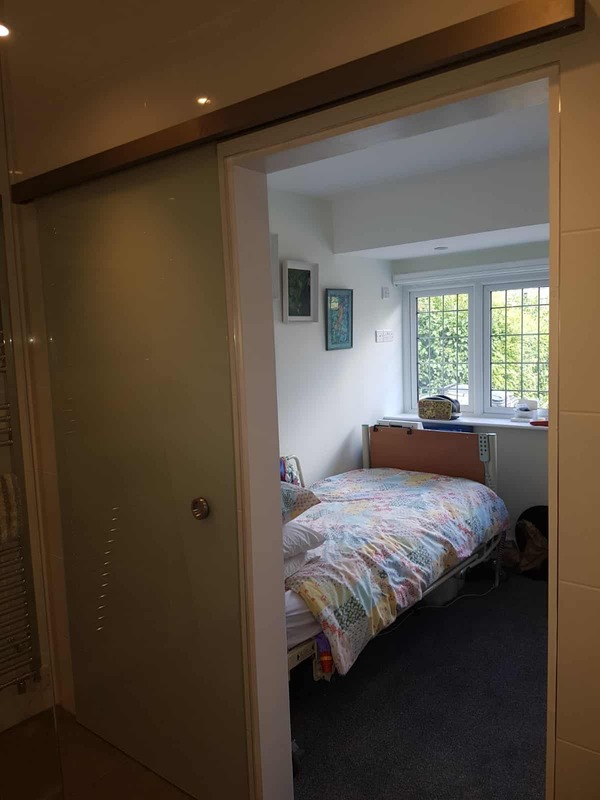 Internally our doors and screens create beautiful glass room dividers or glass feature walls. Features of our frameless doors and glazing products. - Premium safety glass with polished or smooth edges. - A choice of clear, obscure, acid etched or coloured glass. - Quality hardware for secure fixing and aesthetic appeal. - Professionally installed by UK Windows Surrey.